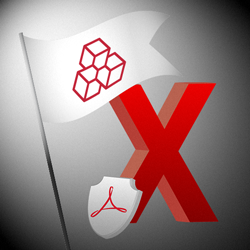 We updated Advanced PDF Password Recovery to add Acrobat X support, recovering the original password and instantly removing various access restrictions in PDF documents produced by Adobe Acrobat X. Many PDF documents come with various access restrictions that disable certain features such as the ability to print documents, copy selected text or save filled forms. If a PDF file can be opened without a password, the new release can instantly unlock restricted PDF files produced by Adobe Acrobat X even if the original password is not known.